We are major dealers in Epoxy Flooring. Worked many sites in Chennai. Whether you are coming from a dairy, soft drinks production facility or car workshop, we will give you what you deserve. We are one of the authorised dealers and applicators of Nitoflor and Fosroc. We will give you specially selected Nitoflor which is available in different textures to avoid slipping. Nitoflor which we apply on your floor will have a high-degree of chemical resistance. It will be flexible to stand against a wide range of chemicals. The Niotflor liquid applied from Fosroc will be solvent-free and will give no odour during application. Have an aesthetically good ambience and durable floor with our Nitoflor. Water Proofing Contractors in Chennai These services are cost effective and are widely used in various reputed organizations so as to provide a clean and pleasant look to their work stations, residential complexes and shopping arcades. This Independence Day get rid off all the water seeping out from cracks, joints or voids beneath the slab. The more aesthetic the appearance, the more the employees would like to work in your industry. You don’t need to think twice anymore for all your Waterproofing Material Supplies needs. Think about PU Grouting or EPU Grouting as your Waterproofing Material need and you’ll find all in our range to seal all useless joints. Long lasting, quality finish and easy cleaning is what we assure to give you with our PU Grouting and EPU Grouting Waterproofing. Come and grab the exclusive deals on our Waterproofing Material Supplies this independence day. Have the freedom of having your Industry Flooring waterproof and corrosion resistant. Whether you are coming from a dairy or a soft drinks facility, our Nito Floor coating will satisfy all your demands. Our Nito Floor finish will be ideal for its resistance against oils, grease and, other chemicals. 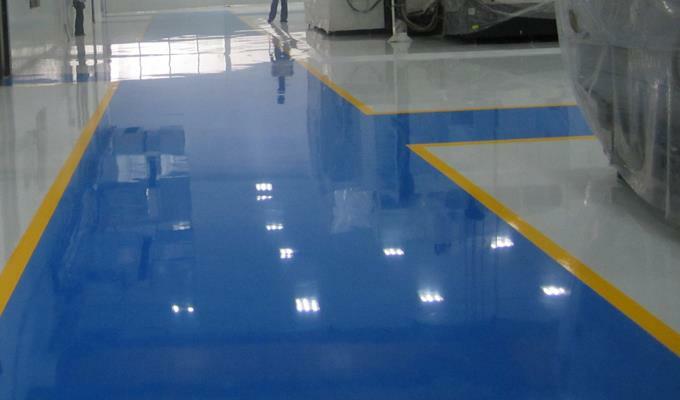 We also provide slip resistant texture along with high build epoxy resin floor coating. Our Nito Floor finish will never fail to provide complete protection against different liquids. It is ideally suitable to use in wet areas. Our Nito Floor is available in a wide range of colours to improve the working environment.